Exceptional Thank You gift for your parents: Mom, Dad, Mom & Dad, Father-in-law, Mother-in-law. 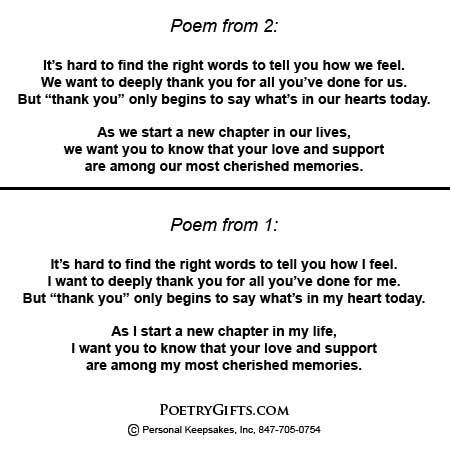 This original poem lets your Mother and Father know how much you love and appreciate them. This is a great thank you gift for parents as you start a new chapter in your life; wedding day gift from bride and groom, on your graduation day, or any time you want to show your gratitude. When you add a photo, your gift becomes a personalized keepsake to treasure. *Thank You Gift Idea for Your Parents* Not too late to thank your Mom and/or Dad for their help with your recent wedding, graduation, landing a new job or any important occasion in your life. 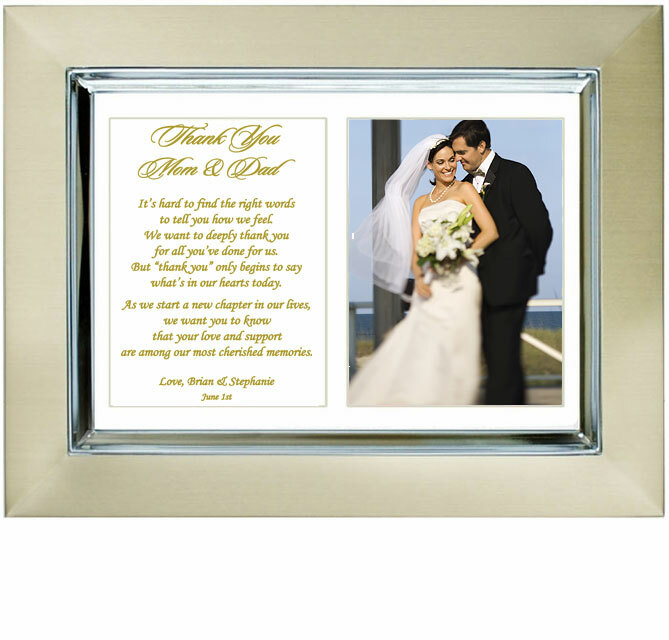 This original "Thank You" poem is presented in a modern gold and silver-colored metallic 5x7 inch picture frame with easel back. (outside dimensions 7” x 9”). If you are looking for a meaningful way to thank your Mother and Father and show your appreciation for all of their love and support, give them this personalized Poetry Gift. Parents will proudly display this gift and enjoy reading it over and over again, especially after you place a favorite photo in the cut-out opening. What a wonderful keepsake for any Mother or Father.